It was approximately 6 am on the morning of my 28th birthday, and I was woken up from a sound sleep by my husband who was eager – which might be a slight understatement – to give me my gift. I hesitantly watched as he hauled a very heavy box from his side of the bed and placed it on my lap. However, my misgivings about what could possibly be in this box (that was now crushing my legs) were misplaced, as inside was by far one of the greatest, most unique presents my husband has ever given me – a DemonBells™ kettlebell shaped like a female sugar skull. After several trips to Mexico, and taking into account my husband’s love of all things horror, sugar skulls have always held a special place in our hearts, even being featured on our sweetheart table and the top of our cake at our wedding. So, this gift was not only perfectly tailored to our quirky preferences, it also flawlessly combined with one of my top interests – fitness. But, as much as I immediately loved my gift, I didn’t fully appreciate the DemonBelle (the formal name for the female sugar skull design) until I started using it. The ergonomic design is ideal for overhead snatches, and even with the awesome design, the kettlebell is perfectly balanced for swings. A former Navy SEAL with experience in CrossFit, SEALFit, MMA, Westside Powerlifting, and Tactical Athlete Program (TAP), among many other programs, Ryan’s love of fitness is obvious to anyone lucky enough to talk to him about his product. Recently, we had the opportunity to discuss what he has been working on and what we can expect for the future of the DemonBells™ company. SavvySleever: What was the inspiration for your Warrior Line? Ryan Williams: I started DemonBells™ because I was looking for a kettlebell with a face or skull on it to buy for myself, but none existed at the time. I figured I couldn’t be the only one who wanted something like that, so I started looking into the idea of making them myself and slowly started moving forward from there. It’s been a long journey with a lot of tall hills and blind corners, but we’re rolling steady now and working on bringing some new designs and entirely new product to market soon. Savvy: Can you tell me a little about how the DemonBells™ are made? Ryan: Yes, all our DemonBells™ are handmade at an American foundry in the Northeast that’s been family owned for 3 generations. There’s a pretty cool video on our YouTube channel that documents the actual process of pouring the molten iron into the sand casts; it’s pretty neat to see how they’re formed from raw, liquid metal into the beautiful pieces that you can hold in your hand. Savvy: What are some of your favorite moves to do with DemonBells™? Ryan: Haha, I could go on forever about this, but here’s a (somewhat) short version. The traditional kettlebell purists are going to hate me for this, but I’m a fan of the American swing, or “CrossFit” swing as some people call it. There’s some contention in the kettlebell community about the Russian swing (up to eye level) versus the American swing (all the way overhead to vertical). My personal opinion on it is that if you can execute the American swing correctly and stay biomechanically safe, without load issues or impingements, then it makes sense to do the American swing and go all the way up overhead. My reasoning for this is that by the mathematical definition of power [Power = (Force x Distance)/Time], you’re simply doing more work that way. It’s a matter of basic math, in a ballistic move like the swing with decent load, you’re doing more work the higher you go. But that also depends on what your personal goals are, and we’re also assuming you’re doing an appropriate weight for your strength and skill level. Personally, I wouldn’t want to swing anything overhead much heavier than 80 lbs or so; anything heavier than that and I’d go with Russian style. But that’s based on my own performance metrics and ability, others will have different limit numbers. That’s the point though, they ALL have their uses, they’re ALL good, and it’s just a matter of what’s going to get you to your particular goals more efficiently and quickly. For some of my clients, I don’t recommend kettlebells at all, or maybe just some basic moves thrown into a larger set workout. There’s literally millions of ways to put a workout together. Harder doesn’t mean “better,” longer doesn’t mean “better,” no style is “better” than another, some things just make more sense than others on certain paths. I prefer to use everything. Think of your fitness or performance goals like building a house – a hammer can be a great tool, but you wouldn’t want to build a house using just a hammer. You need a lot of different tools to complete the job correctly. Sure, you CAN build a house with just a hammer, but it’s going to look like crap and take a lot longer. 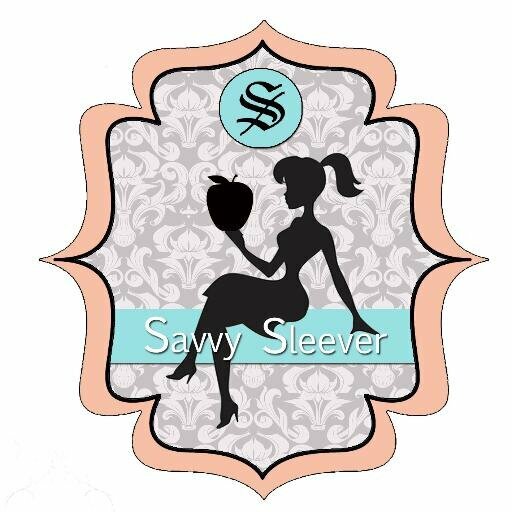 Savvy: You recently introduced the pink DemonBelles to your website in honor of Breast Cancer Awareness month, can you please tell me a little more about this project? Can we look forward to more colored DemonBells™? Savvy: What can we look forward to next from your company? Ryan: Good question! We’ve got some new stuff in the works right now we’re hoping to have ready in time for Christmas… We’re pushing forward and always trying to grow and build new products and explore new ideas. We’re branching out of just kettlebells, working on some other avenues that are much easier to ship. I think UPS makes more money shipping DemonBells™ than I do selling them, haha… I think our customers will really dig what we have on the horizon though. We always drop the new stuff on Instagram and Facebook first; if you’re plugged into us on either of those then you’ll be the first to know about new gear as soon as it’s available, maybe even sooner. Check out the DemonBells™ website to see all of their amazing products, and like Ryan suggested, keep up to date on what they have in store by following their Instagram and Facebook accounts. This entry was posted in Fitness, Fun and tagged CrossFit, DemonBells, Kettlebells.